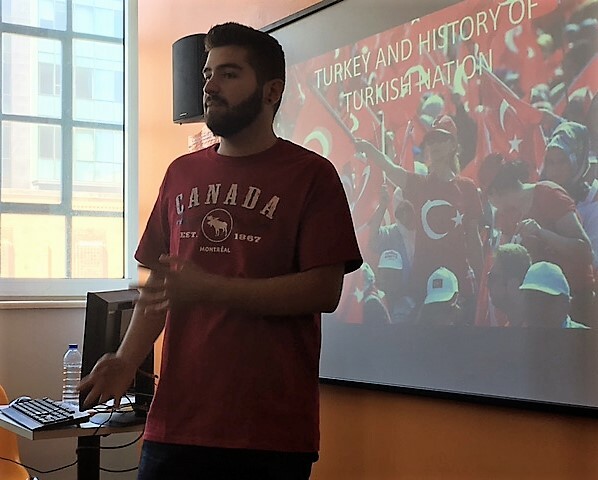 EC Montreal’s student Nejat Guvensoy from Turkey gave a presentation to the school today on Turkey and the History of the Turkish Nation as part of EC Montreal’s student academic lecture series. Although Nejat is studying French, he chose to give his presentation in English. Nejat began by giving us a short history lesson on Turkey. He described all the different empires and the different geography throughout the years. He explained the meaning of the flag. The red symbolizes blood, the moon and stars. Nejat went on to clarify stereotypes people have about Turkey, including the cuisine, religion and politics. The biggest stereotype is the country’s capital. Most people thing it is Istanbul when in fact it is Ankara. 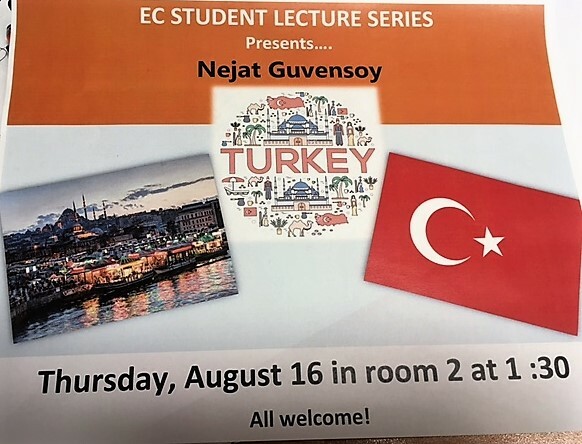 Nejat ended his presentation by talking about the most touristic cities that we should visit if we plan a trip to Turkey. He pointed out that there are a lot of beautiful places to visit. Nejat did a wonderful job at presenting his country. He did so confidently and proudly!